It’s all fun and games … until somebody gets sued. How to avoid party fouls when renting out your clubhouse. Birthday bashes, going away shindigs, surprise parties, dinner, cocktail and pool parties, new jobs, or college graduations, there are a million reasons to have a celebration! Apartment complex clubhouses can be a great place to throw a rock star style blow out or classy upscale function. As building owners, amenities such as club houses can add to your property value as well as can be an excellent selling feature for apartment complexes or condos. And if your residents are looking to host a special event, many may want to opt for renting out your clubhouse. If renting out your common space is something you decide to do, carefully preparing, insuring and managing the risks associated with this is essential for the party to go off without a hitch – especially if alcohol will be served. There are few things you’ll first want to decide on before you make your space available for rent. Are non-tenants allowed to rent the space? Will you be required to host the event or can the tenant host? Is there a curfew for how long party go-ers can stay? Once you set your rental guidelines, the next thing you’ll want to consider is what the protocol is to serve alcohol. If alcohol is featured at the party, you’ll want to make sure you proactively manage your liability exposure. Did you know that any establishment that sells or serves alcoholic beverages might be held liable for damages or injuries caused by intoxicated guests, even if no money is exchanged? That’s right. Your establishment could be held liable for any damages that result from fights, reckless behavior or even car accidents. Have tenants provide a security deposit. Liquor related laws vary by state, so it’s important to know how your state views alcohol related responsibilities. As a property owner, you could potentially be held responsible for the actions of your tenants when they utilize your clubhouse or pool area for social gatherings. What’s a property owner to do? Be aware and help protect yourself. There are sites you can go to find out what your state’s stance on Dram Shop laws and Social Host Liability. Here’s one option: Dram Shop Laws and Social Host Liability Website. Now fair warning, Dram Shop laws are not easy to digest or understand, so speaking with your insurance agent and a lawyer to better understand what is covered, and what is not covered, is a great place to start! No need to close down the clubhouse, and you don’t have to be a party pooper because of liquor liability or social host liability concerns! 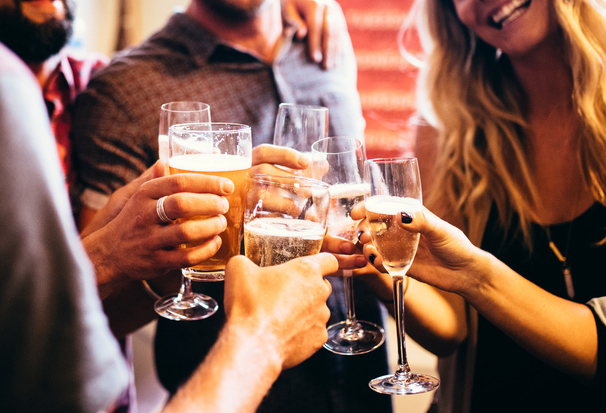 Get to know your responsibility as a property owner, and how you can help protect yourself…so your tenants can party on! Cheers! This publication is designed to provide general information regarding the subject matter covered, and is provided with the understanding that the publisher is not engaged in rendering legal services, and does not represent any statement or interpretation of the law as it applies to any particular situation or individuals, and should not be considered a substitute for specific legal advice. If legal advice, or other expert assistance is required, the services of a competent professional should be sought. State Auto Insurance makes no representations or guarantee as to the correctness or sufficiency of any information contained herein, nor guarantees of results based upon use of this information. State Auto does not warrant that reliance upon this document will prevent accident and losses or satisfy federal, state and local codes, ordinances and regulations. The reader assumes the entire risk as to use of this information.